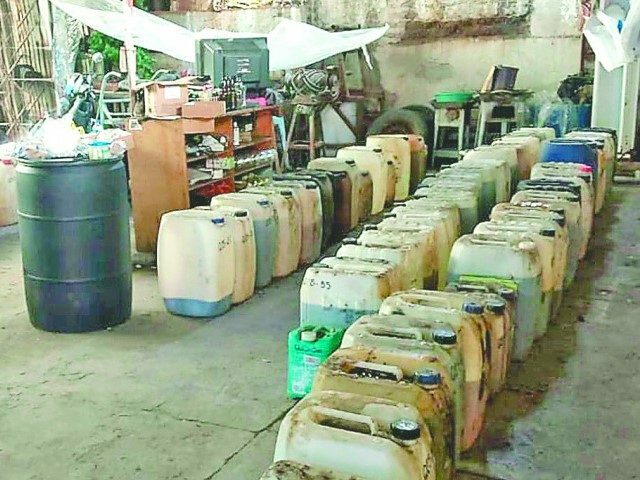 Mexican federal investigators discovered an active fentanyl lab belonging to the Sinaloa Cartel in Mexico City. The discovery was the result of an investigation by the Attorney General’s Office of Mexico, according to local media. Authorities executed a search warrant inside a building housing the city hall for the Azcapotzalco municipal government, located in the northwest section of Mexico City. The raid took place on the weekend of December 8, but information was not released to the public until days later. One person who oversaw and managed the lab was arrested, according to the Attorney General’s office. Federal investigators found various chemical substances, numerous bags containing blue fentanyl pills, approximately 50 cans of a liquid, and a pill presser. All were believed to be used for fentanyl manufacturing. Officials also announced the seizure of several vehicles, communication equipment, and ammunition of various calibers. The seizure was believed bound for the U.S. markets. Fentanyl, often referred to as “synthetic heroin,” is blamed in part for the opioid overdose crisis in the United States. The Attorney General’s office handed over custody of the case to the Office of the Special Prosecutor’s Office for Organized Crime Investigation (SEIDO). Approximately two months ago, investigative elements of the same agency located a house belonging to the Sinaloa Cartel near the Benito Juárez City Hall. Federal authorities found weapons, drugs, and nearly one million dollars and detained a male identified as Adolfo Jesús Coronel Beltrán, believed to be a cousin of Sandra Aviña Beltrán, better known as the Queen of the Pacific, according to the BBC. Aviña Beltrán was a Mexican drug cartel leader who was extradited to the United States. She was later released and deported back to Mexico. Aviña Beltrán was considered a key link between the Sinaloa Cartel and Colombian drug lords. The Sinaloa Cartel is stepping up its production and trafficking of fentanyl to the U.S. markets. Many recent seizures are linked to the same organization. These include a 26-pound bust in November in northern Mexico and a 44-pound find in Maryland.